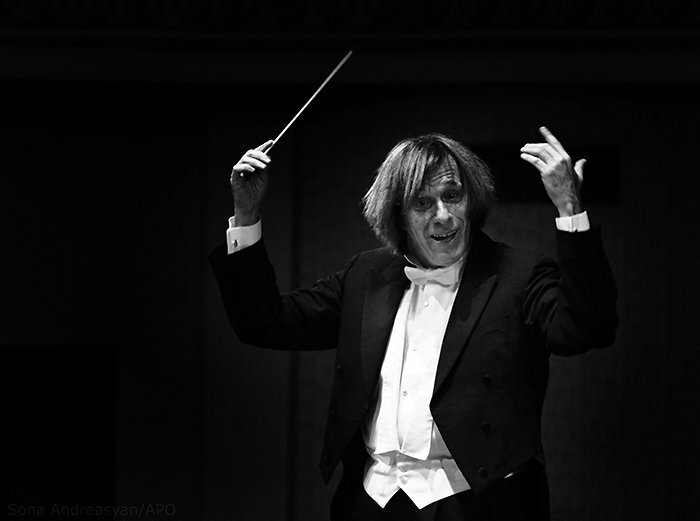 Conductor Israel Yinon has collapsed and died during a concert performance in Switzerland on January 29. The 59-year-old Israeli conductor was at a concert given by a Swiss youth orchestra in Lucerne, when he fell dramatically to the ground. Israel Yinon was in the middle of leading An Alpine Symphony by Richard Strauss when he slumped, falling headlong to the ground. According to local media, the conductor fell off the stage and sustained a bad head injury. He died before an ambulance arrived at the hall. Colleagues said they had lost “a big-hearted friend”. Born on January 11, 1956, in Kfar Saba in Israel, Yinon studied conducting, music theory and composition at the Samuel Rubin Academy of Music in Tel Aviv as well as the Rubin Academy of Music in Jerusalem. Israel Yinon was hailed as “a sensitive educator” by Marc Reinhardt, a spokesman for the Lucerne University of Applied Sciences and Arts where he worked. The musician, who was born in Israel, later moved to Germany and dedicated his career to rediscovering works by composers killed during the Holocaust. Hewas the first to record the symphonic works of Viktor Ullmann and was instumental in reviving works by Ernest Bloch, Karol Rathaus and Pavel Haas. Israel Yinon served as guest conductor with numerous orchestras, including the Jerusalem Symphony Orchestra, the London Royal Philharmonic, the BBC Symphony Orchestra, the Royal Antwerp Flemish Philharmonic, the Vienna Symphony and the German Symphony Orchestra Berlin.